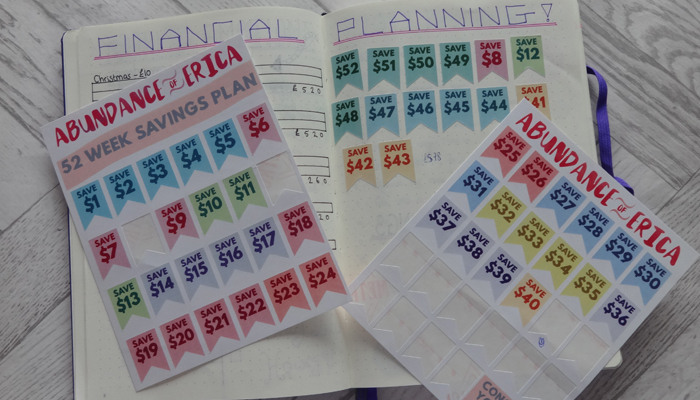 One of my goals of the year, was to be a bit better with my money by spending less and saving more. In my previous 52 Weeks Saving Plan, I explained how the savings idea worked and how I was going to approach it. 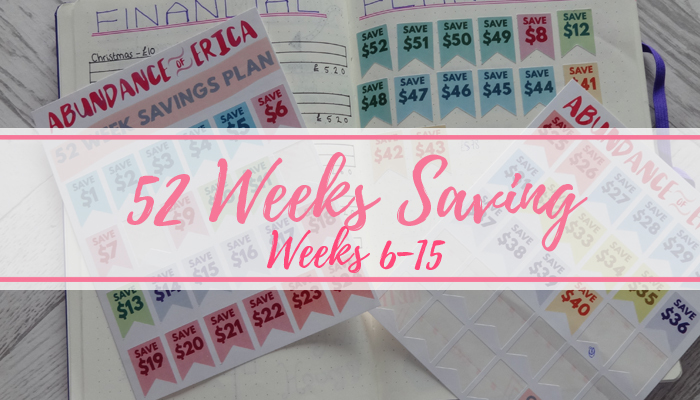 So instead of the usual method, I'm going to save a random amount each week, so I can then knock some of the larger amounts out of the way now, and work down to the lower amounts through the year. 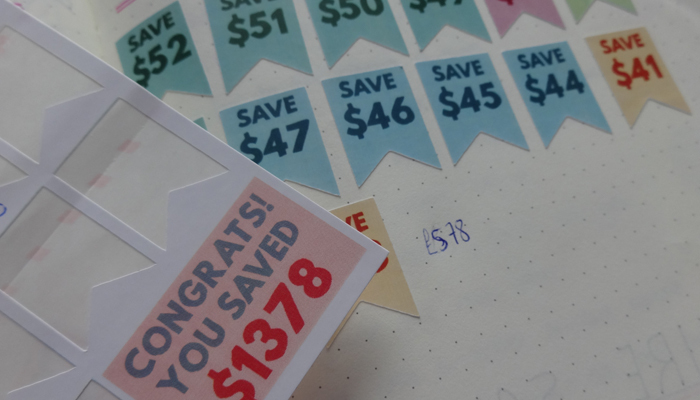 I've been working backwards more than randomly, as this has worked better for me right now, due to not having any large expenditures until the summer. 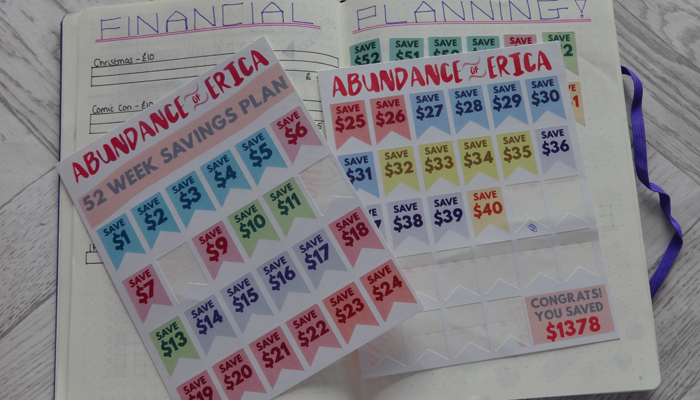 I also mentioned using stickers from The Sticker Party's store on etsy! I know these are in dollars, but it's the same amounts, so ignore that! 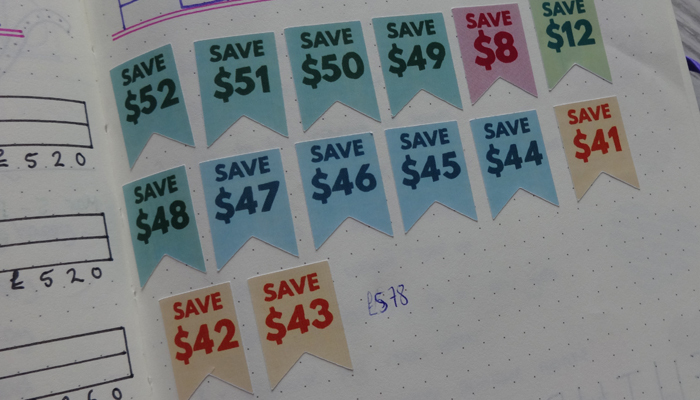 I love using stickers, and thought I could put each denomination into my bullet journal as each week goes so I can keep track of which amounts have been done. My last post about this was back in January during week 5, where I had £210 at that time. 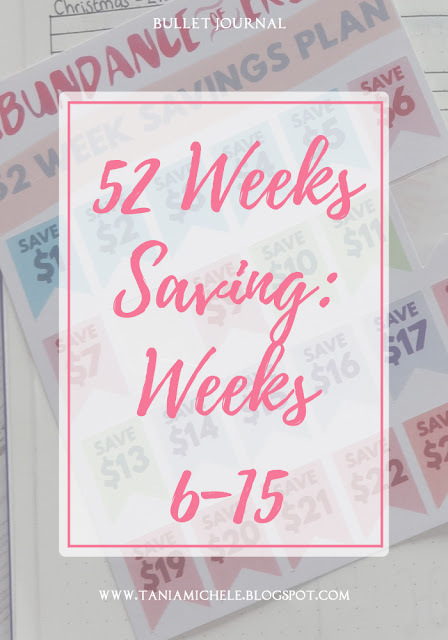 So now we're onto week 15 and I've actually managed to keep this up so far! I've worked backwards and put away the larger numbers like I wanted, so I've built up a nice little sum straight off the bat. I've put away money each week instead of spending it on clothes, beauty. shoes, etc - as I didn't need them! I'm still not sure what I'm going to spend my money on, but seeing as my current laptop keeps crashing, the money might be going towards that!